Further proof JFK was a man of style. 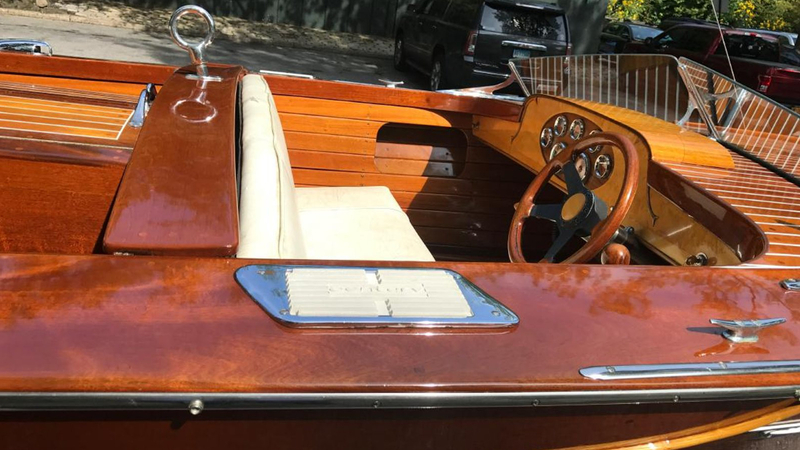 If you want further proof that the presidents of the past had more stylish rides, look no further than this beautiful mahogany 1961 Century Restorer speedboat once owned by President John F. Kennedy that sold for $75,000 at a massive auction of Camelot-era memorabilia in New York over the weekend. The Massachusetts-born Kennedy was always known for his love for the sea, and the many pictures of him sailing in the waters off Cape Cod have helped shape his image as a vibrant, youthful politician in the popular memory. That's on top of his heroic service as a patrol boat captain in World War II, the family's near-mythic connection to Hyannis Port, and the small sailboat he owned since childhood that's permanently on display outside his presidential library. All this to say: The man knew his boats. In 1961, shortly after JFK was inaugurated, his father Joseph Sr. won the Century Restorer in a church raffle and gifted the boat to his son. The auction listing says he did so because JFK's younger brother Robert already had a Century of his own, but we're willing to bet being president helped out a little bit. 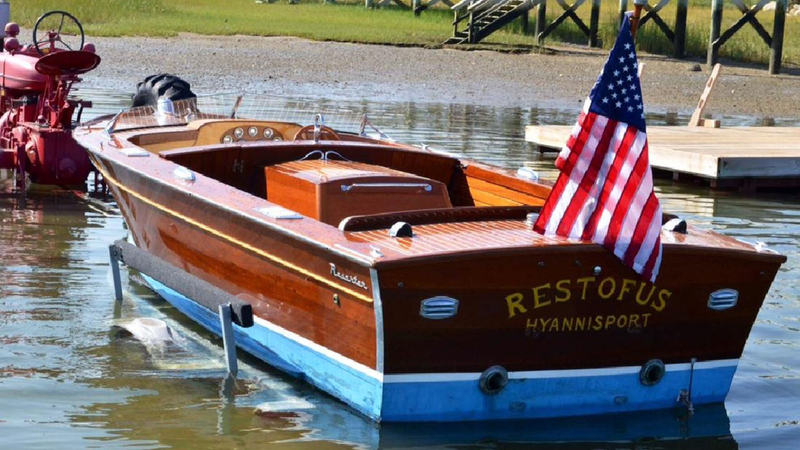 The boat was named "RESTOFUS," a wink at a boat Joseph Sr. once named "TENOFUS" in honor of the ten Kennedys at the time. The 17-foot Restorer is made of "deeply varnished" mahogany and remains in showroom condition thanks to a pair of restoration projects in the late Eighties and mid Aughts. That's good, because the listing quotes Ted Kennedy as saying that JFK "was a little rough on it" and drove it "like it was PT-109." The original engine, likely a Chrysler flathead six-cylinder, has been swapped out for a 1986 Ford 302 V-8, so recreating this water skiing scene below featuring both Ted and Bobby shouldn't be a problem for the new owner. August 26, 1961 | Hyannis, Mass. : Actor Peter Lawford (R) coils water ski line as Ted Kennedy (right, center) mans wheel, and US Attorney Bob Kennedy (left, center), and unidentified youngster look forward, during an afternoon of water skiing in Lewis Bay. The President and family also cruised Lewis Bay. 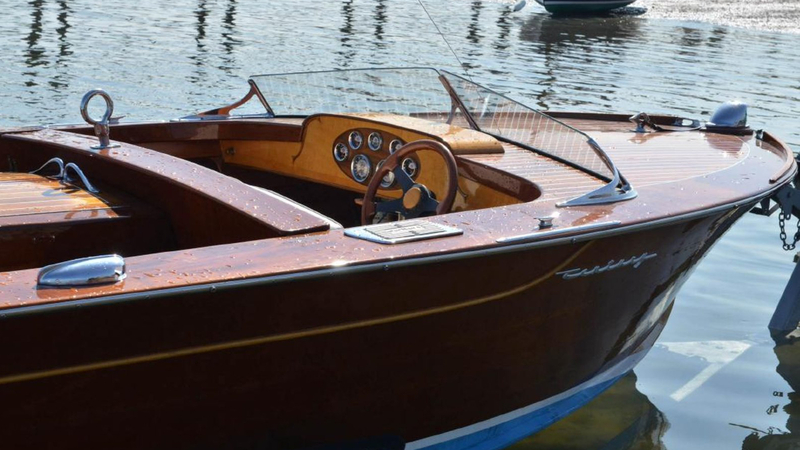 Even though it's relatively small, the boat seats seven. 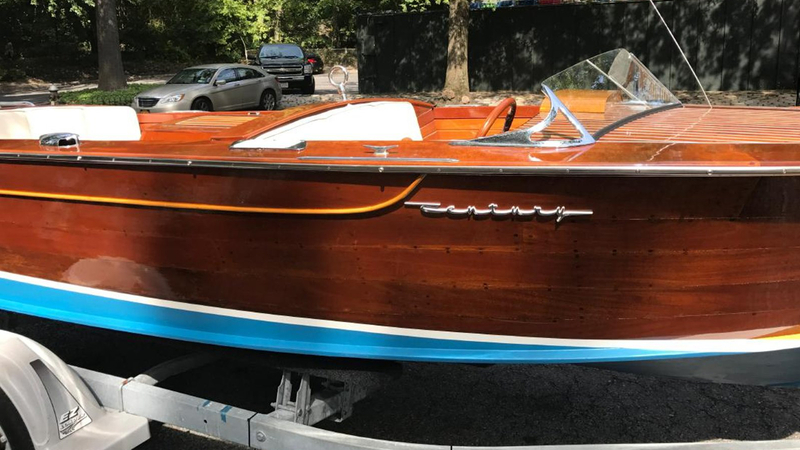 The listing also relays another (completely unconfirmed) tidbit that President Lyndon Johnson also wanted a Century boat after seeing Kennedy enjoy his, though the company allegedly refused to supply a free one and the bargain-conscious Texan went elsewhere for his nautical kicks. And hey, $75,000 for a 17-footer may be steep, but at least it's in better condition than the real presidential yacht. Whose 1974 VW Thing is parked outside the Capitol?